italian men's tailoring brand brioni embarked on a trajectory of dramatic reinvention, and although the creative director who instigated it all is no longer on board, it's going ahead carving out a new name for itself. 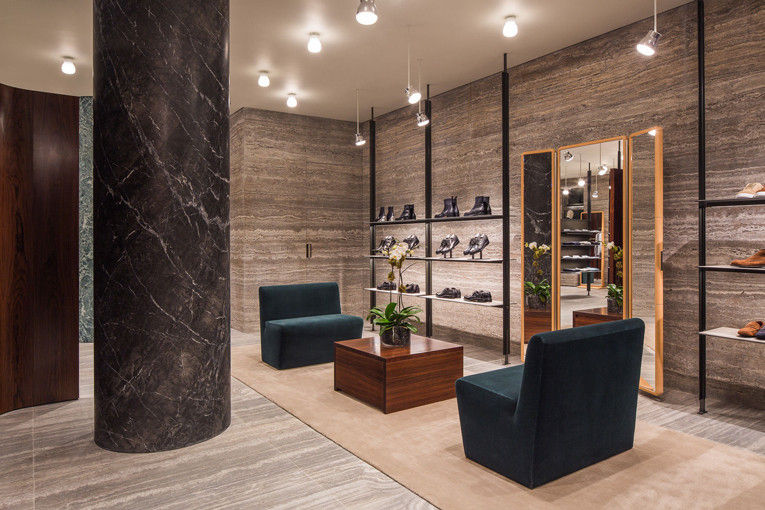 part if of the strategy understandably is a new store design, and following the renewal of the brioni store in paris last summer, a brand bew boutique has just bowed in new york city's upper east side. 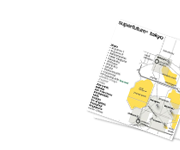 occupying a spacious 5,974 sq.ft. [555 sqm.] space set across a ground floor and spacious underground section, it features another interior design by david chipperfield architects, the practice that has been enlisted to take care of the transformation in the brand's retail department. 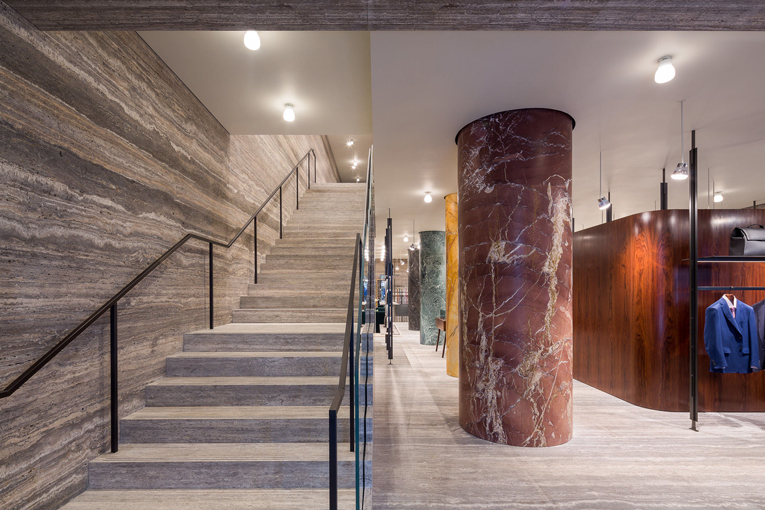 the aesthetic comprises of walls and flooring clad in travertine, and paired with pillars covered in various contrasting shades of marble. sleek black metal shelving line the walls on both floors, paired with furniture pieces by iconic designers such as mies van der rohe and franco albini. 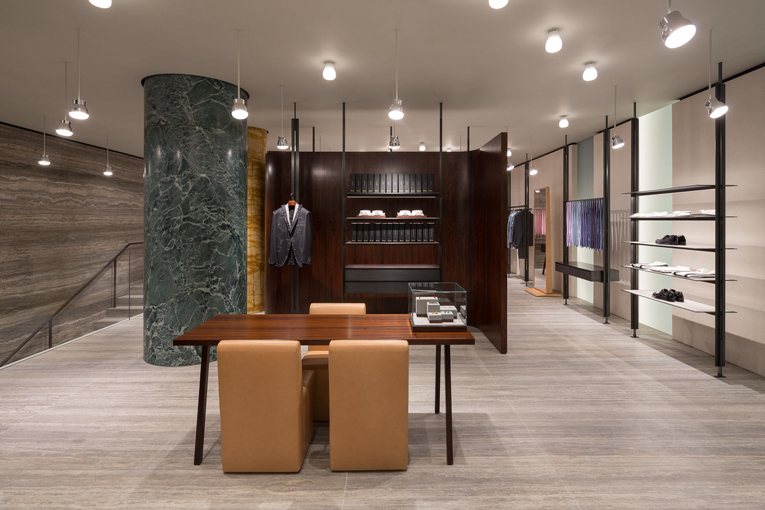 the newed brioni store carries the brand's full range of men's suiting, lifestyle apparel collection, denim. accessories, shoes and bags. location: 688 madison avenue [upper east].